NOBLESVILLE, IN (Gray News) - A police chase temporarily held up traffic north of Indianapolis Saturday. Fortunately, it wasn’t a dangerous criminal running from the law, just a cow seeking sanctuary at a Chick-fil-A. Athena Hopkins captured the ordeal on video and posted it to Facebook. 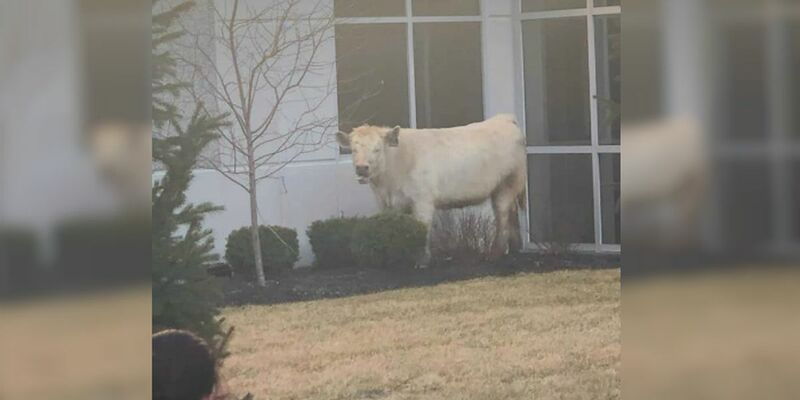 Noblesville police chased the wild bovine all over the east side. They posted photos of the cow on Facebook asking anyone with photos and video of the chase to share it in the comments section. They confirmed in the comments that they managed to capture the runaway and steer it back to its owner’s trailer. Chick-fil-A has not commented on whether or not they would’ve offered the cow sanctuary.